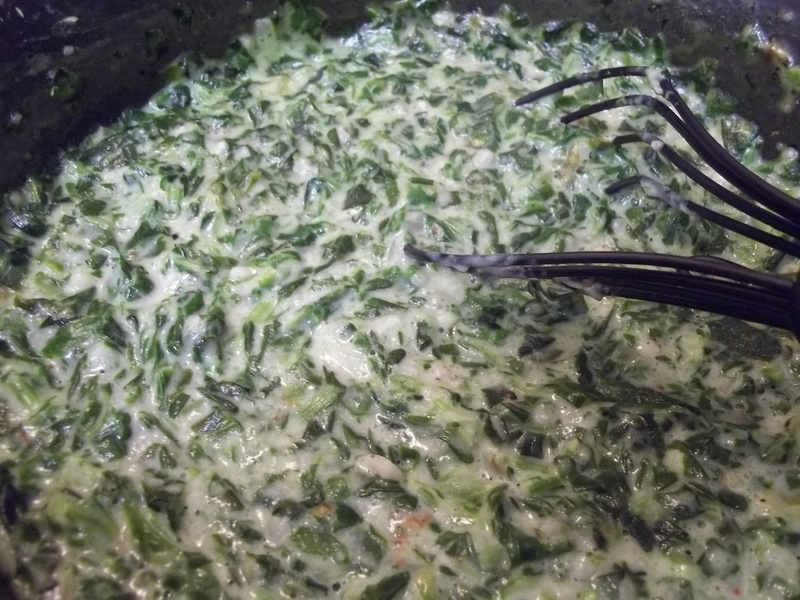 Creamed spinach is one of my favorite side dishes. I know, probably one of the least popular, but I love it (almost as much as beets!). Actually, I like just plain old sautéed spinach, too. If you don’t like creamed spinach as much as I do, here is a way to dress it up a bit… add cream and bacon! 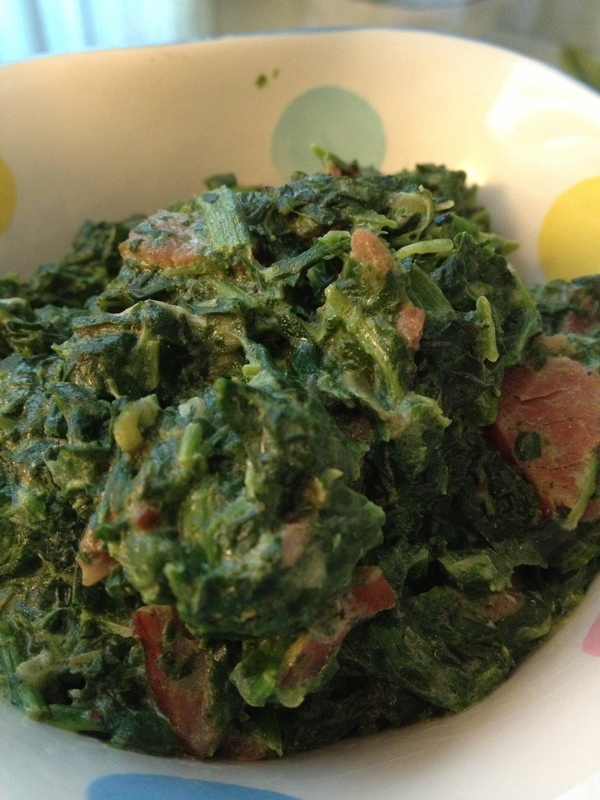 Who couldn’t love creamed spinach with some bacon in it? Chop the shallot and sauté in a pan with the olive oil. Saute just for a minute or two. Chop the bacon into smaller than bite sized pieces. Saute the bacon with the shallot. Add the vegan butter. Saute until the bacon gets nice and crispy. Add the creamer and gluten free flour and stir for a couple of minutes to thicken. Add the spinach and continue to stir. Add the salt, pepper, nutmeg, and cinnamon. Stir until spinach is heated through. One of my favorite meals is a good steak and creamed spinach. To me, there is something so comforting about creamed spinach… except for the word “cream” to someone who has a dairy allergy! So of course I found it a personal mission to be able to make creamed spinach in a dairy free version. This recipe is very tasty, simple, and quick. In a deep saute pan on medium heat, add the butter and shallot. Stir a few times just to soften the shallot. After just a couple minutes, add the creamer and flour. Stir well to combine, about 4-5 minutes. Add the frozen spinach. Stir and add the nutmeg and salt and pepper. Cover and let it continue to cook, stirring every few minutes until the spinach is creamy and hot. Serve with your favorite steak!